Short Sweet Synopsis: Levana's story. Find out why she is such an awesome villain. I have a confession to make, I don't usually read novella's or short stories that are part of a greater series. 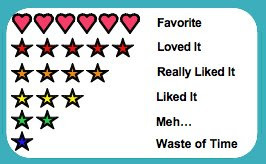 I wish I had a good reason for this, but usually I'm simply not interested enough in a character to take this on. 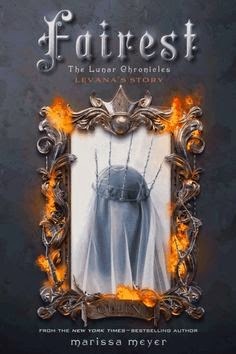 However, I have always been intrigued by Queen Levana in the Lunar Chronicles because she is such an amazing villain. I love to hate her and could not imagine myself empathizing with her, but Marissa Meyer made it happen in "Fairest". Let's make this clear, you will not end Fairest thinking that Levana is a stand up gal who is just misunderstood. You will have a better understanding of her as an individual, but you will still think everything she has done is unforgivable. What is the point then of reading the book? Because even though Levana was doing some devious deeds, I felt myself hoping that she would surprise me and take the high road. At the same moment, I felt sorry enough for Levana that I was in tears through most of the book. Even though Fairest is very short, a little over 200 pages, Marissa packs enough character development that you will understand how Levana became so twisted. If you enjoy the Lunar Chronicles, it really doesn't matter your opinion of Levana, you will want to read Fairest. If you are like me and appreciate Levana's demonic plots then you MUST read Fairest because you have only seen the tip of the iceberg when it comes to mental torment. I probably just made myself sound like a bit of a psychopath, but I just admire when an author can create an truly terrifying villain.